Stockholm is the capital and largest city of Sweden, built on 14 islands connected by 57 bridges. With few high-rise buildings, Stockholm has a unique landscape. It’s mostly church spires that pierce the otherwise almost unobstructed skyline. Over 30 per cent of the city area is made up of waterways and another 30 per cent is parks and green spaces. 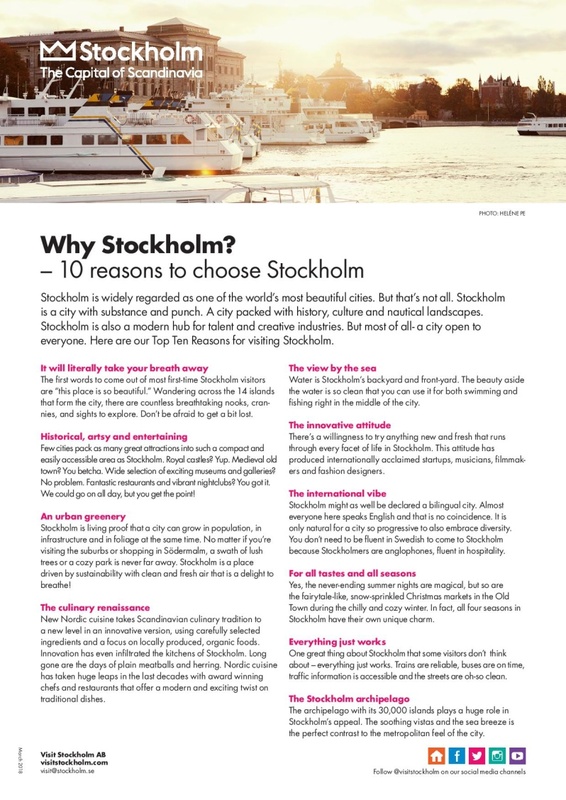 Please visit www.visitstockholm.se to learn more about Stockholm and www.visitsweden.se to learn more about Sweden!